HAMBURG, NY: The Italian American Leadership Council will present its annual Anthony M. Castiglia Award at a special St. Joseph’s Day Dinner on Monday, March 18th, 6p.m. at Ilio DiPaolo’s Restaurant and Banquet Facility, 3785 South Park Ave., in Blasdell, as announced by Charles Castiglia, Council President. 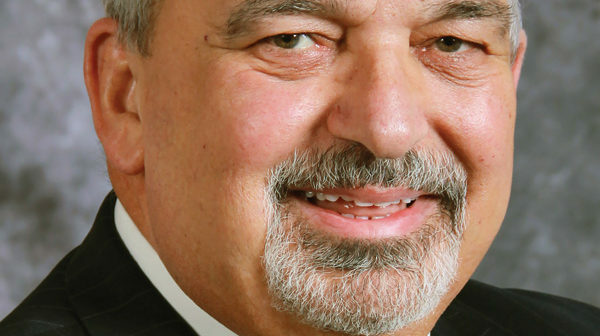 The 2019 Honoree is Buffalo Hearing and Speech President & CEO Joseph Cozzo. Joseph Cozzo is the President/CEO of Buffalo Hearing & Speech Center, a diagnostic, treatment and educational center for children and adults with communication and learning difficulties. BHSC is a leader in Early Childhood Programming in both Classroom and Community Settings and provides clinical services in speech and audiology across the lifespan. Joe lectures regularly across the United States on topics related to classroom and school transformation, school culture and leadership. Mr. Cozzo has worked extensively with teachers, foster parents and adoptive parent groups across New York State, and has studied the idea of “Compassion Fatigue” as it affects Urban District School Teachers, and Parents working with traumatized, hurt, children and youth. Mr. Cozzo is frequently requested as a motivational speaker by schools and not for profit organizations. Mr. Cozzo has had extensive travels throughout the world to 14 different countries while working with children placed in orphanages, orphanage staff, universities and governments. Joe has Master’s Degrees in Psychology and in Clinical Counseling, Joe is a NYS Licensed Mental Health Counselor and a Nationally Certified Trauma Therapist. Joe is a member of several Boards of Directors, including the Buffalo Niagara Medical Campus; The Center for Speech and Language Disorders, and others. Joe is a Past President of the National Association of Speech and Hearing Centers, and Founder of the West Buffalo Charter School. Joe was a graduate of the Leadership Buffalo Class of ’99 and a Community Health Foundation of Western and Central New York- 2010 Graduate from the Health Leadership Fellows Program. Joe is married with two children. Diane, his wife, was a school counselor and District Administrator serving as Director for the Buffalo Public Schools for all Student Support and Behavioral Health Services. Joe’s daughter and son Heather and Josh are both Special Education Teachers, a source of great pride for Mom and Dad! Tickets are $75 and a table of 8 is $550 and are available by calling 716-627-2919. Get Ready for "Fright Fest" at Darien Lake!